We leave after breakfast Fez. 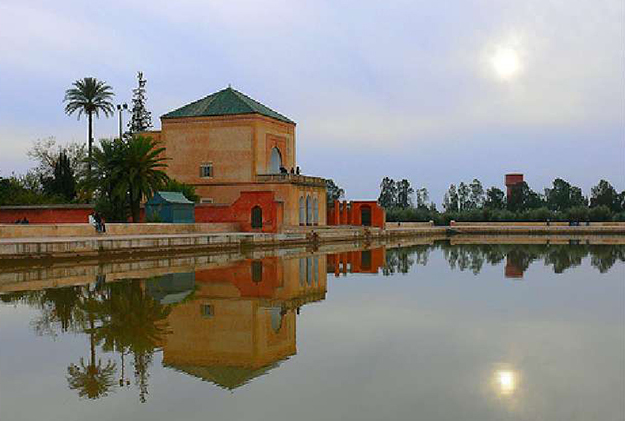 We cross the Atlas Mountains through the town of Ifrane, Morocco’s Switzerland, so named because of the combination of Western architecture and cedar forests. We stop to see the apes that inhabit the area. Then visit the town of Errachidia, where we will eat. 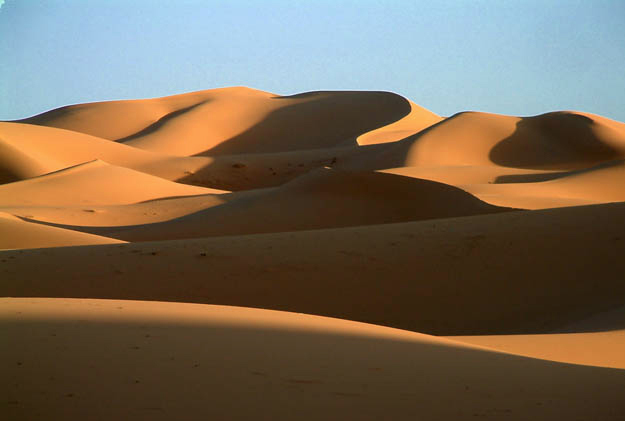 Once forces responses continue our tour was the beautiful dunes of Erg Chebbi in Merzouga. Finally we will take the camels and we will hike through the dunes to watch the sunset and sleep in a nomad tent in the desert. We get up early to watch the beautiful sunrise and climb the dunes, ride on camels then back to the lodge where breakfast and continue to Ouarzazate via Rissani where we will stop to visit its traditional Souk considered the largest in all of South Morocco. We will continue to Todra Gorge where we will eat the specialty of Moroccan cuisine in a Berber House. Walk through the gorges before continue to the Dades River valley, the valley of roses, the oasis of Skoura. 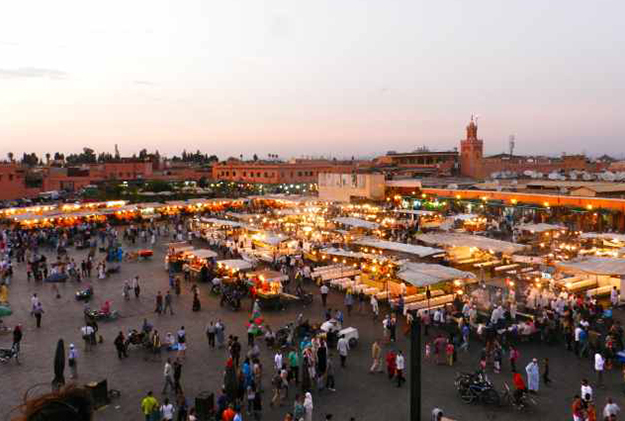 Arrival in Ouarzazate and hotel accommodations. 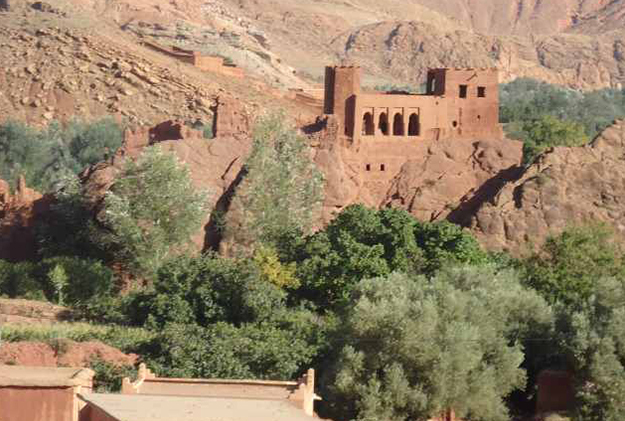 After breakfast and before going to Marrakech, visit the Kasbah of Ait Ben Haddou where many films, including: Sahara, The Kingdom of Heaven, Cleopatra and Gladiator. Then continue towards Marrakesh High Atlas Mountains via the Tizi N’Tichka. Close to the mountains will see many Berber villages and farms. Arrival in Marrakech in the afternoon and end of the route.